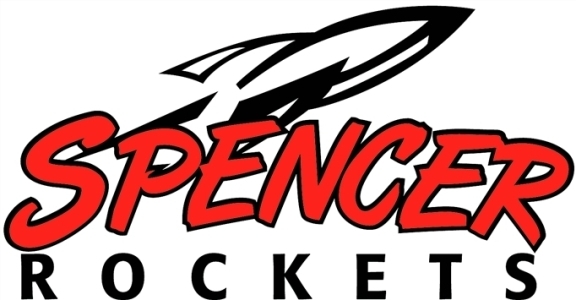 SPENCER – The Spencer softball team opened its Cloverbelt Conference East Division schedule with a 6-2 win over Greenwood on Tuesday at Spencer High School. Spencer pitcher Tiffany Meinders allowed just two unearned runs in the fourth inning, scattered five hits and four walks, and struck out 18 to earn the win. Meinders had a double and scored twice, Cassidee Weidmann drove in two runs, and Chailey Robinson went 2-for-3 for the Rockets’ offense. Weather permitting, Spencer is scheduled to play at Colby on Friday. WP: Tiffany Meinders. LP: A. Bogdonovich. SO: Bogdonovich 5; Meinders 18. BB: Bogdonivich 6; Meinders 4. Top hitters: G, L. Johnson 2×4; L. Oestreich 2×2. S, Meinders 2B, 2 runs; Cassidee Weidmann 2 RBIs; Chailey Robinson 2×3. Records: Greenwood 2-2, 1-1 Cloverbelt Conference East Division; Spencer 2-3, 1-0 Cloverbelt Conference East Division.